This item was received as a gift. 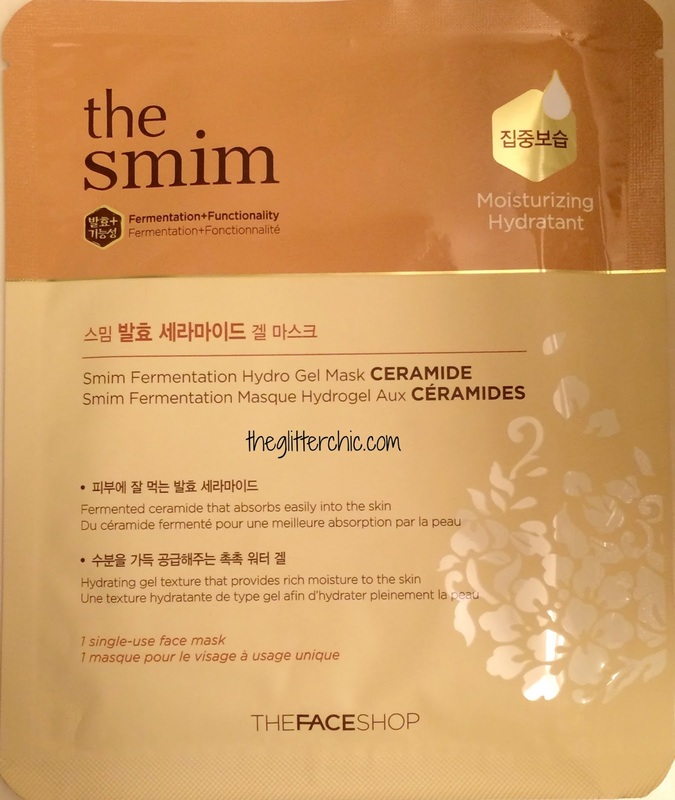 This mask is supposed to hydrate the skin and repair damage with fermented ceramides and moisture-rich hydrogel. 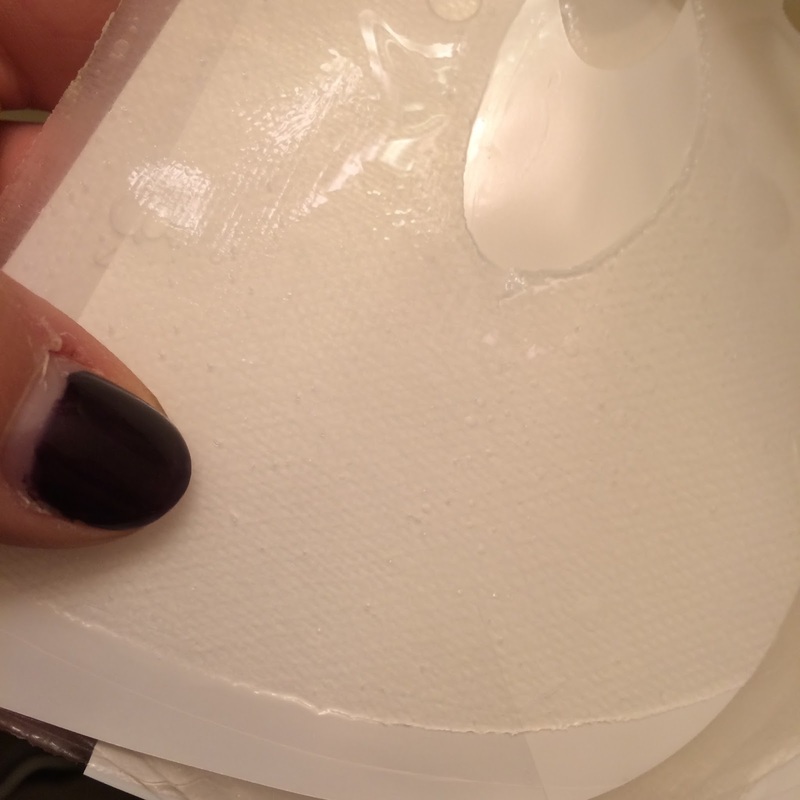 Apply the top piece of the hydrogel first, then apply the bottom - I find this helps you get each piece situated perfectly onto your face. 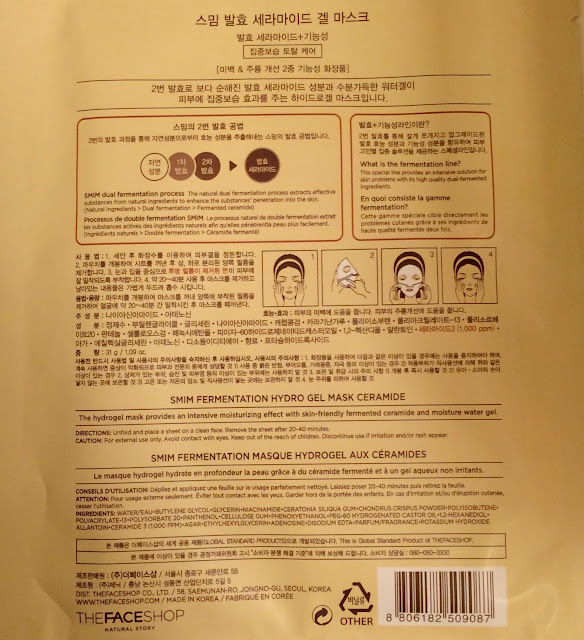 Leave on your face for 20-40 minutes, remove, then pat in any remaining essence. 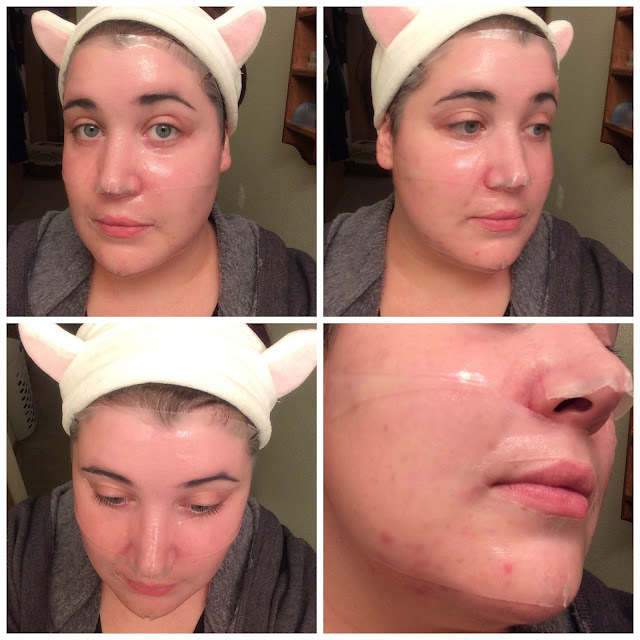 This mask was easy to apply - it wasn't too flimsy but it also had enough support where it wasn't a hassle to stick to my face. It had no scent, and covered my whole face, minus a small bit on the sides of my nostrils. This mask felt very soothing, like it was healing my face while I was wearing it. 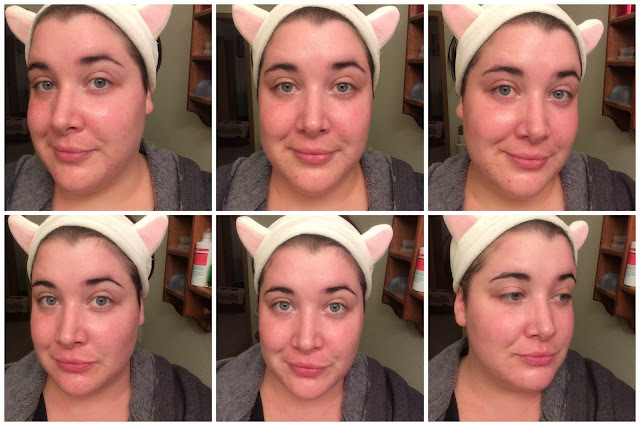 It was a very comforting feeling, and my skin definitely enjoyed it! I was able to wear this mask for ~45 minutes before it dried too much. This mask not only left my skin feeling hydrated and plump, but I also found it to be very brightening and calming for my skin as well. 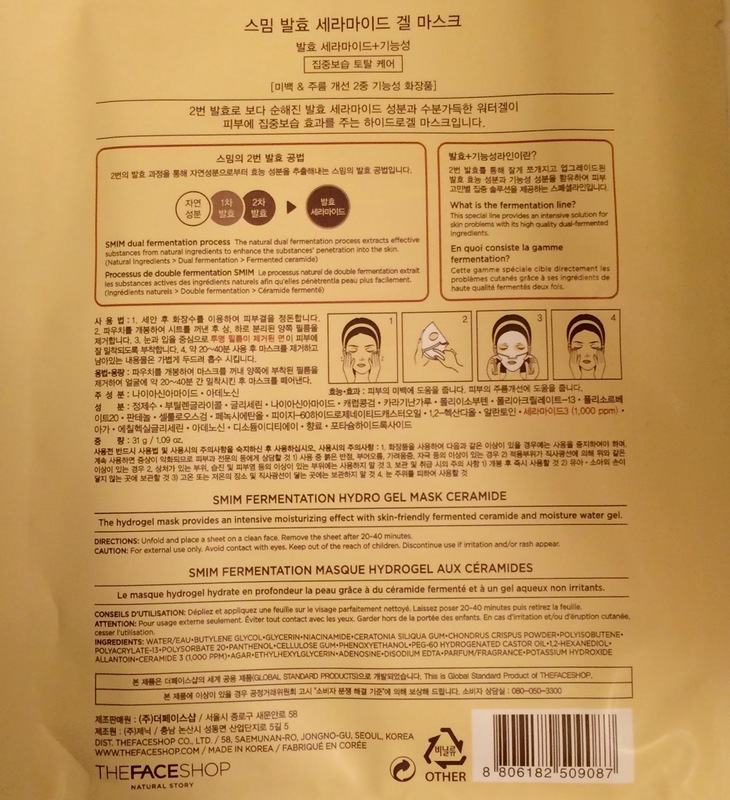 This is a great mask, and I'll definitely be restocking it in the future!